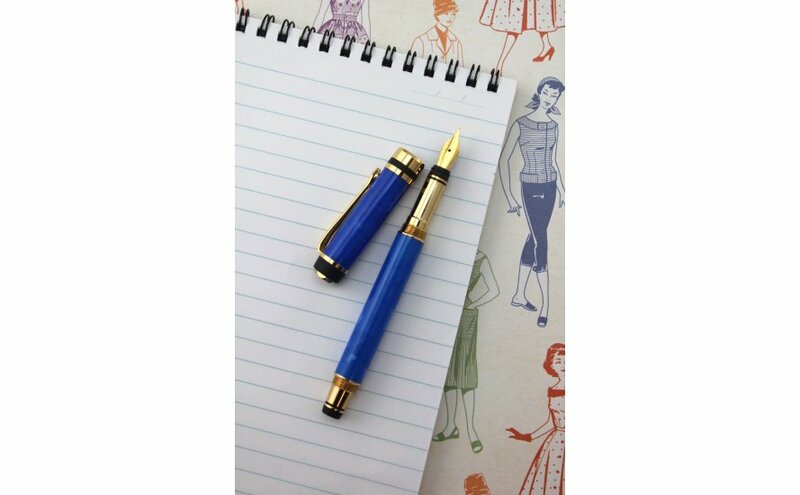 Our blue sapphire crush acrylic pen features semi-transparent chunks of light blue acrylic set into sapphire blue acrylic giving timeless aesthetic. 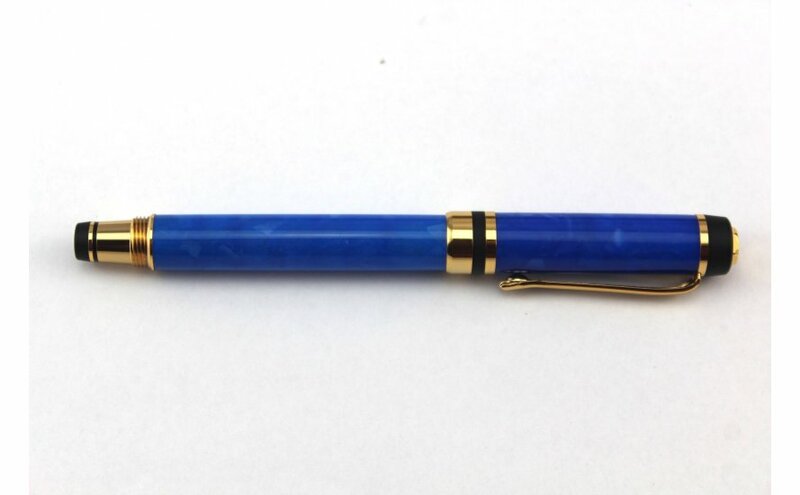 This classy rollerball pen is created by an artisan who hand turns each pen on a lathe in North Brisbane. Using a meticulous thirteen step sanding and polishing process we highlight the spectacular colours within the acrylic. Each acrylic blank is carefully selected and features highly irregular colour variations, this means that each pen we create is one of a kind. You won't receive this exact pen, but you will receive a high quality pen turned from the same coloured acrylic blank. This is an Australian made acrylic pen blank. The elegant classic style rollerball features 24 kt gold plating and a tough iridium nib made in Germany. It has a threaded lid that can be effortlessly placed on the end of the pen so it is never misplaced. The pen comes in a quality, black presentation case, but if you would prefer an engrave-able timber pen box, please contact us for options. This beautiful pen uses easily replaceable, rollerball refills and comes with a premium german black gel ink refill. Find extra rollerball refills here. 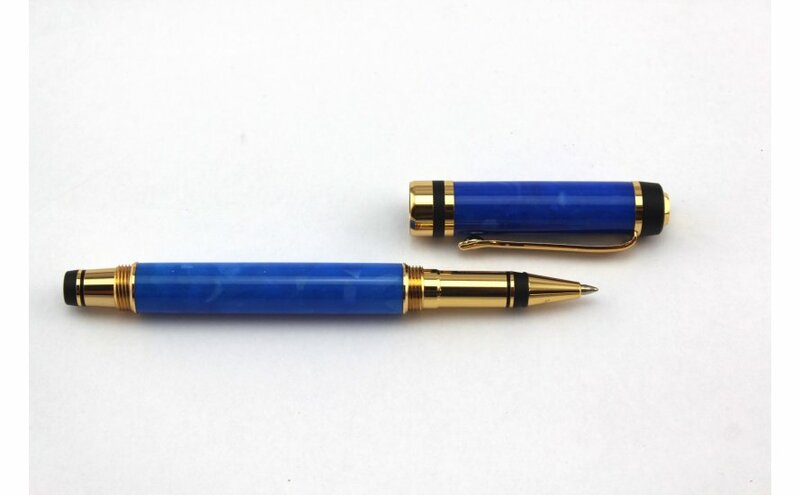 We also sell a matching classic style fountain pen or can make you a matching letter opener or pencil from the same acrylic blank which makes a lovely gift.